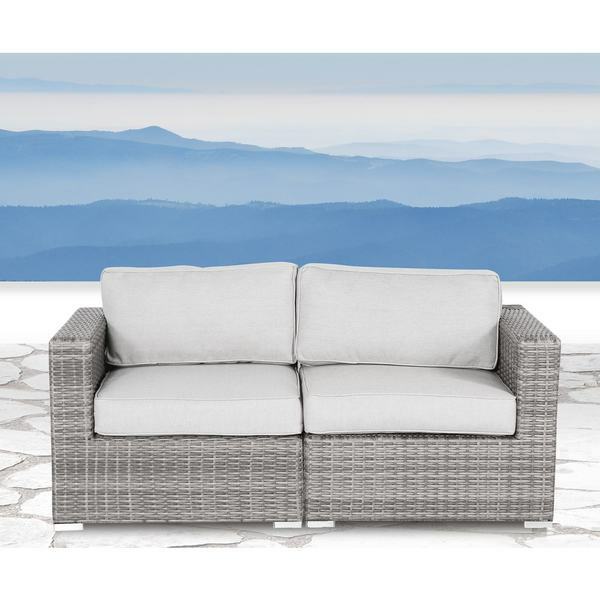 Create a casual, cozy outdoor living area with this Verona loveseat. The weather-resistant wicker and durable cushions make this piece ideal for use on a porch, patio, or deck. "Are the cushions light gray? Thank you."